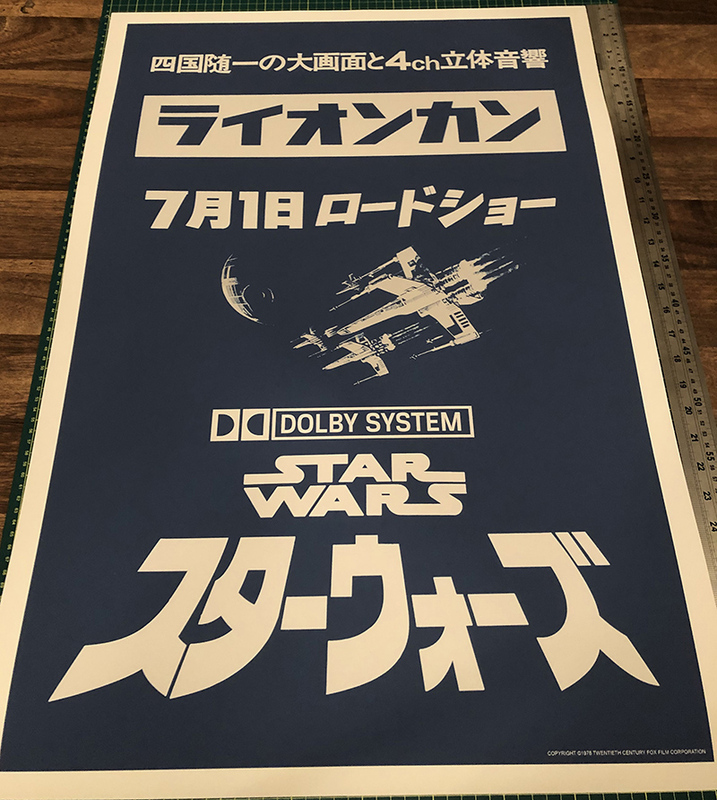 Selling a REPRODUCTION of an advance roadshow poster for the premiere of Star Wars on the Japanese island of Shikoku. Cool looking high-quality Japanese-import print. Looking for £200 ($265 US) including P&P. If you're interested, i can invoice via Paypal. Thank you! Per forum rules, you need to post a price. £200 for a REPRO poster ??? This is a JAPANESE import. Things are expensive in Japan. Just try buying this print anywhere else, you'll NEVER find it for sale.